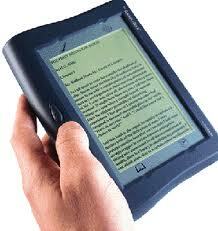 let's talk about writing: will digital surpass print by 2014? I read a report today claiming that by 2014 e-books would surpass print books. The numbers and stats and newsy-news about digital media is coming in faster that warp speed. If the typos and grammatical errors in the aforementioned piece are an indication of what might happen when the speed of publication becomes more important than the craft behind the content, we readers and writers are in for a cold water dunk. I've been most interested in e-book outfits that seem to walk the careful road when it comes to digital pub, and I really like Jane Friedman's approach at Open Road. Open Road is creating a bridge between old sensibilities and new form, which I think is important for old-schoolers like myself. Now that some 10.5 m folks have e-readers, the door is open to a variety of approaches to get those readers' attention. I also like the speculation that indie bookstores are getting a leg up as the big box guys go down, mostly because indies have always nurtured community and the digital landscape of social media has given them more tools, more ways to get the word out. I still wish my Kindle weren't so freakin' ugly though. i'm pretending like the ereader thing isn't happen. denial and avoidance are my best virtues. My husband keeps remind me that if I spill coffee on my paperback or drop it on the ground, I can generally still read it, but the same cannot be said of a Kindle. On the other hand, it's nice to be able to have multiple volumes at your fingertips without weighing down your shoulders or straining your back. Hey Cynthia, good point! After one blown motherboard, I'm extra vigilant with the bevies around technology, but I did bring the Kindle to the pool today and knew I was playing with fiah!